When advising business clients, are you taking advantage of all the new options and enhanced flexibility afforded under Alabama's significantly changed limited liability company law? Have you updated your forms to minimize any negative consequences of the new act? Effective January 1, 2015, the new law is one of the most unique in the country, providing for the addition of series within a LLC, the removal of many statutory defaults, and a more pronounced shift to contract theory. Its flexibility provides LLC members with the ability to have more contractual freedom in establishing how the LLC will be operated. The overarching policy behind the changes is to give business owners more options to fashion the obligations and structures of their LLCs. Learn more with this on-demand webinar and hear from a leading tax and business law attorney for a one-hour briefing via telephone on the new law's provisions, and how to best make use of them to meet client goals. Drafting LLC Agreements under Alabama's New LLC Law - On-Demand — is just $107. 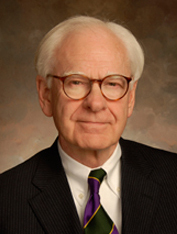 F. Gerald Burnett practices in the areas of tax law and disputes, commercial real estate and transactions, and timber transactions. He has had substantial experience in the tax and entity structuring of LLCs and partnerships used primarily in real estate transactions. as well other commercial transactions that include corporations. His work in the tax area has also included jury and non-jury trials in eight states. Mr. Burnett is the co-author of the treatise Litigation of Federal Tax Controversies, originally published by Shepard’s/McGraw Hill (1st edition). He is the author of the Tax Management Portfolio entitled Timber Transactions (1st edition) and has served as a Special Tax Advisor for Tax Management, Inc. He is listed in the Best Lawyers in America® for Corporate and Tax Law. Before entering private practice, Mr. Burnett was a trial attorney in the Tax Division of the United States Department of Justice.